This house will impress you before you even enter the front door. New driveway, landscaping, painted shutters and fence provided a great exterior facelift. Cosmetic updates can be found through the interior of the home. Large living room and kitchen have an open concept with a more private dinning area off the kitchen. Two bedrooms and a full bathroom are separate from a third bedroom and hall half bathroom which contributes to private master bedroom feel. Kitchen is well equipped with all appliances staying and features granite countertops! 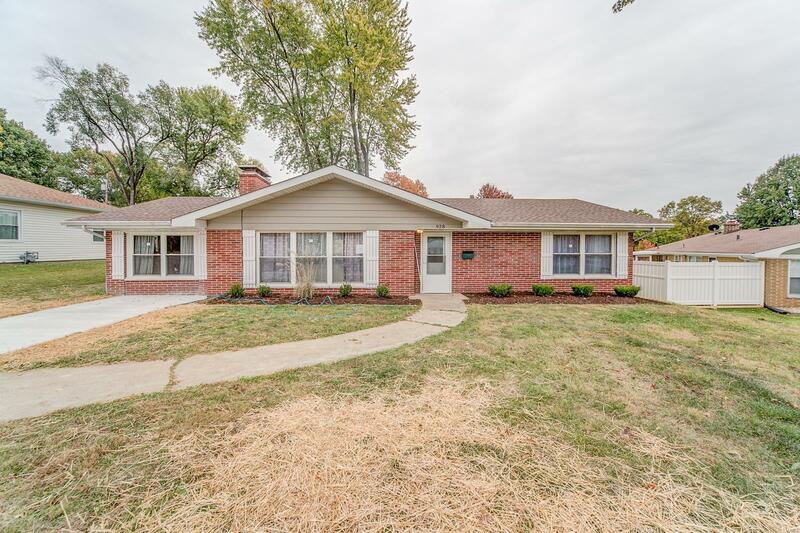 A large fenced in backyard round out this brick, 1500 sqft, ranch that is waiting to see your offer!